Yesterday was another beautiful day for harvesting. A cool start, but clear skies and warming quickly in the sun. 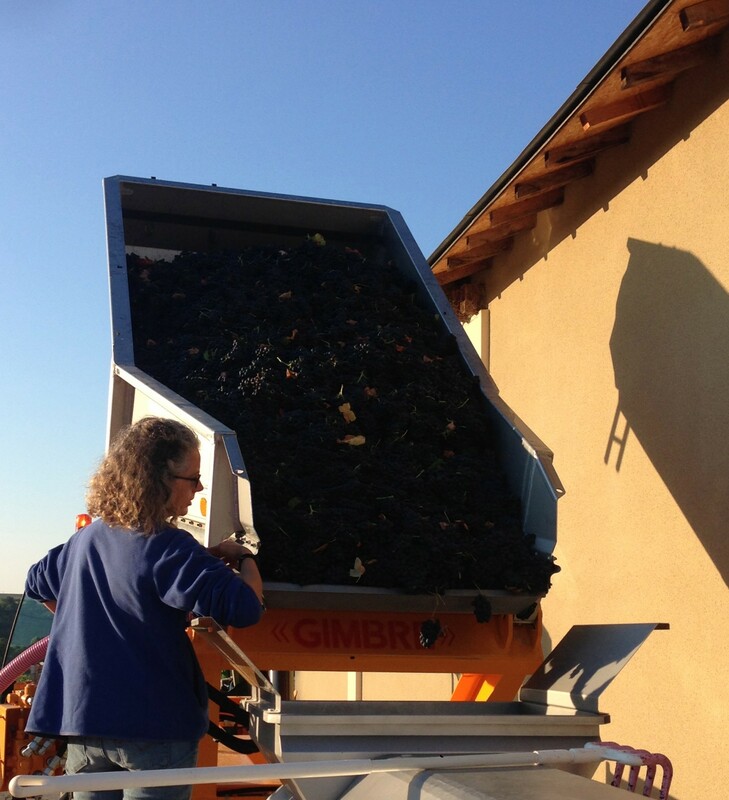 Yesterday we hand picked the Grenache in Cru Vinsobres. Meanwhile in the winery the Cru Vinsobres Syrah which we picked on the 26th September has now finished its alcoholic fermentation. The Grenache will ferment separately and once they have both done their malolactic fermentation (sometime towards the end of the the year) we will decide the final blend between the two. The Rosé Carpe Diem is also fermenting nicely now – at the moment it’s sweet, slightly alcoholic and fizzy and really rather nice! More harvesting at the end of the week.